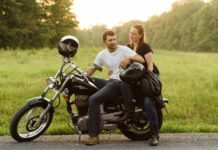 There are always riders who want to improve their motorcycle in some way. While a certain group of people focuses on design, the others want to increase the performance and thus go faster. And when bikes roll out of the factory most of them are not that interesting. However, even factories know how to kick it up a notch. 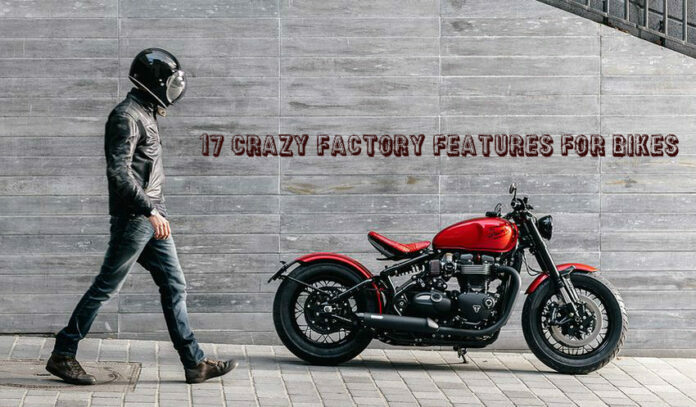 They sometimes launch features for motorcycles which are just crazy and we are going to present 17! There used to be a lot more experimenting when the motorcycles appeared for the first time. 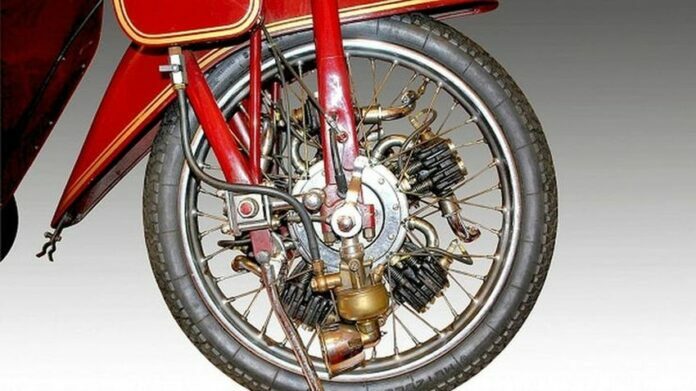 The company by the name of Megola, from Germany tried to mount the motor on the front rim. This means that the engine would spin together with the wheel! The bike had to be started by spinning the front wheel and when you wanted to stop at a sign or stoplight, you had to orbit your lane until you could continue. This was written in the original manual and the point was to keep the engine running. The beauty of the motorcycles is that they have no roof and you can feel the wind blowing. 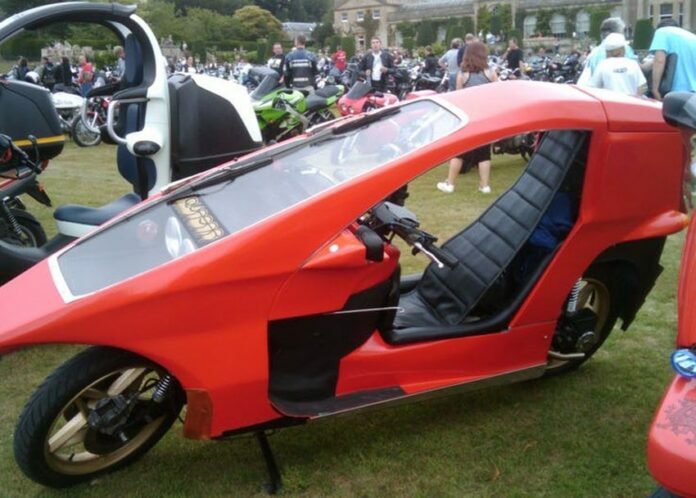 However, Quasar created a fiberglass body and roof for their bike in order to improve fuel economy and speed. The other companies added roofs as well, but the design of this bike is bizarre and that is why it earned a spot on the list. 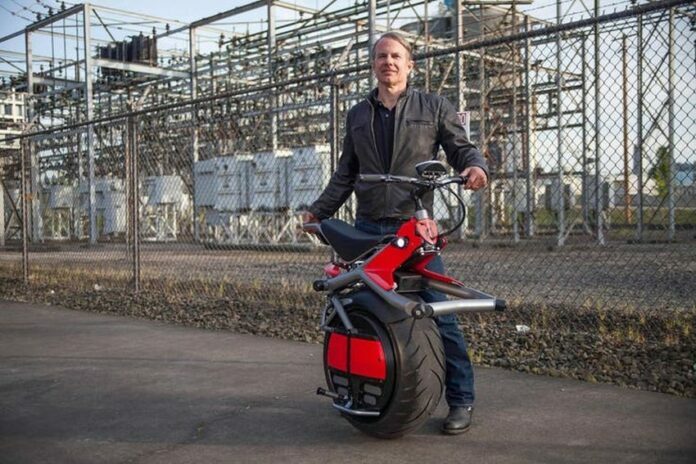 Ryno Motors, Oregon has come with major ideas regarding single-wheel bikes. Even though it might look weird and you would think that a balance could be a problem that is not quite the case. 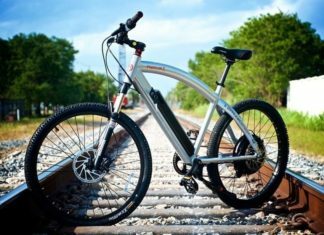 The bike remains stable thanks to a self-centering gyroscopic mechanism that is built into the wheel, while it is powered by an electric motor. And while self-cancelling indicators work well in cars, it is a different tale when it comes to bikes. 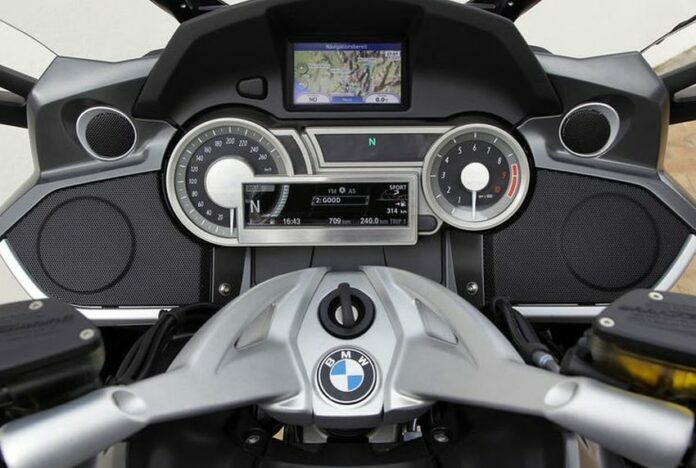 The motorcycles are driven in a different way and there is no need for the addition of such feature. There is nothing wrong with the standard indicator switch which you press to turn off lights – it’s quite simple. Handguards are built to protect your hands, which is why having indicators built into them feels weird. In case you break the handguards, they can be repaird quite easily no matter from which material they have been constructed. Putting the indicators here may seem like a good idea stylistically, but from the practical standpoint, it is quite illogical. 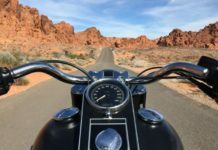 Having a satellite navigation integrated into your bike may seem like a good idea at first, but not after several years. The technology enhances quickly, plus the roads change as well with the new ones being built all the time. After a few years, your sat-nav will be useless. And it case it breaks down, how do you fix it? One of the ways is to purchase a GPS anyway, but then you don’t need satellite navigation in the first place. 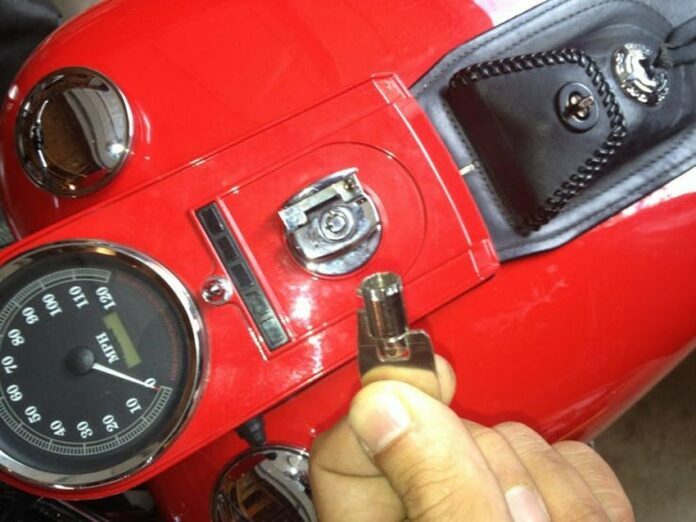 There has been an idea to take out the key when you start the engine of your motorcycle and put it in your pocket. While “keyless” isn’t impossible at all, this weird idea is just another proof that car tech is making its way to the bikes. And while most feature from cars can be successfully transformed to bikes, this one is slightly crazy and it would confuse a lot of riders. Front-wheel bikes are a rarity and even fewer companies attempted to integrate both front and rear wheel drive. Rokon’s attempt will be in the books which bikes were built for utilitarian use. Another bizarre feature is the tires that have the ability to hold liquids like gas inside them. 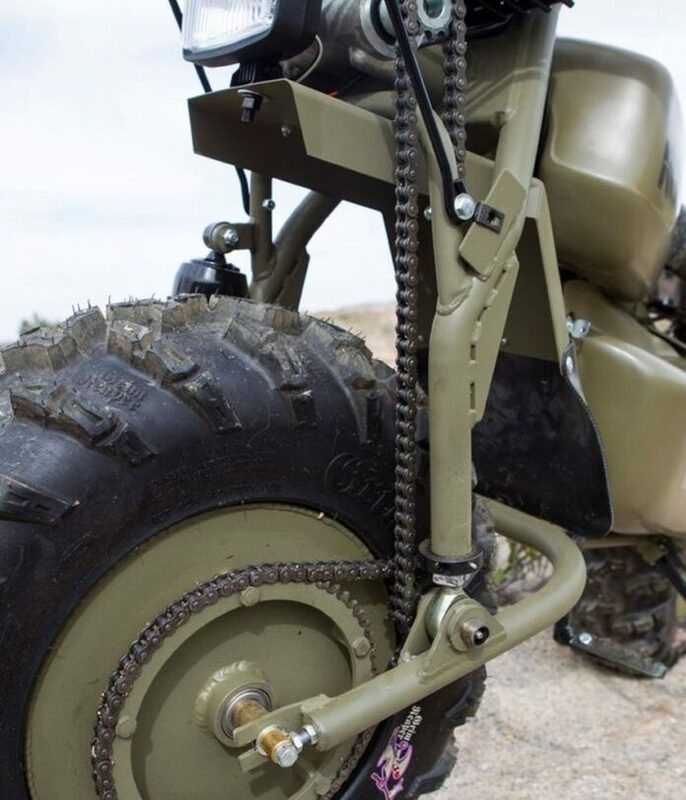 This is a useful motorcycle primarily aimed at military and farmers, but it is quite odd. The only bike at this moment with a hydromechanical automatic transmission is the Honda DN-01. 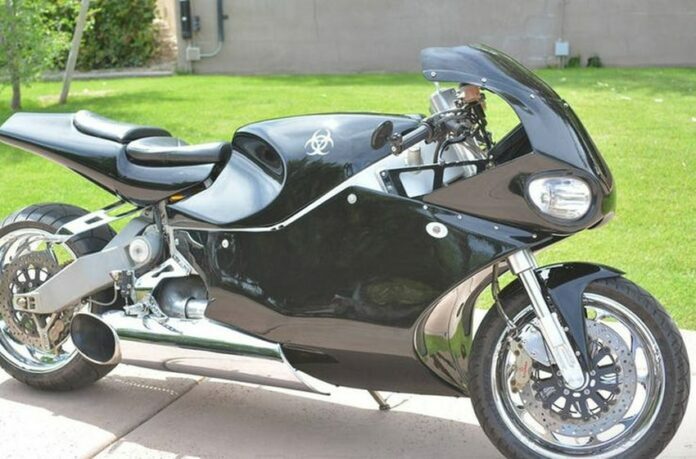 This is a combination of a sports bike, a cruiser and a scooter. The design is quite aggressive, which is clearly the sporty side of the car, but the upright seating position is more of a cruiser. Despite the good looks, it is a weird vehicle to drive. 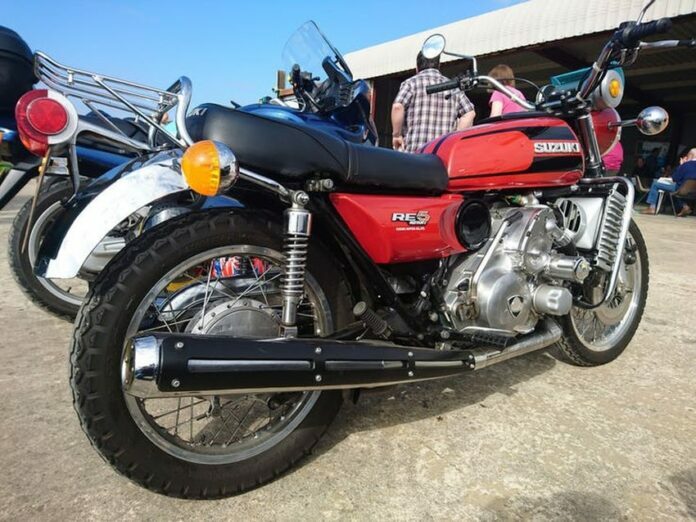 There are plenty of bikes with rotary engines, but the number of units which hits the market is usually small. The most famous one is the Suzuki RE5 and it was on the market between 1975 and 1976. The setup was not accepted by the public even though its motor was running smoothly. Approximately 6,500 units were made. 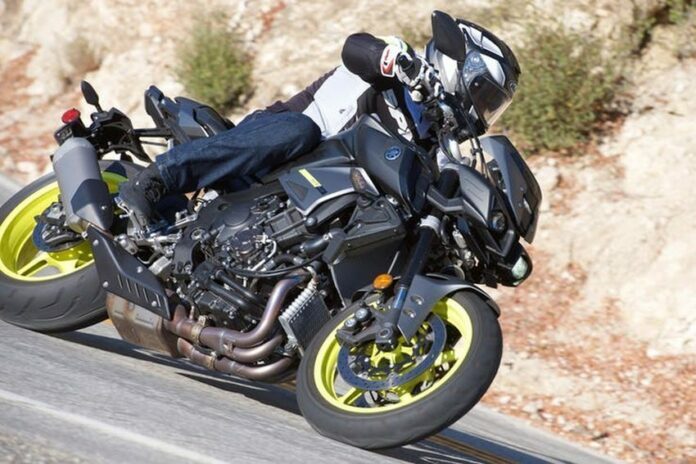 These bikes are crazy, but it isn’t surprising why they were never widely accepted. The most famous one is the MTT Y2K that gets power from an Allison C18 turbine motor. 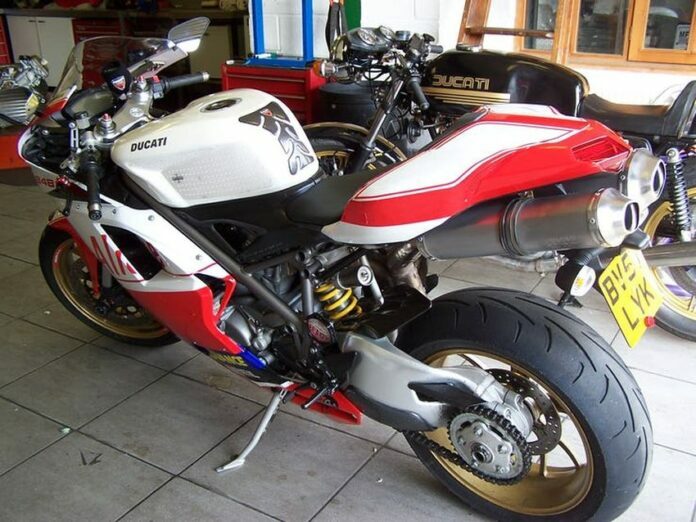 With it, this bike reaches the top speed of 250 mph, which is too much, to be honest, no matter how impressive it may sound. 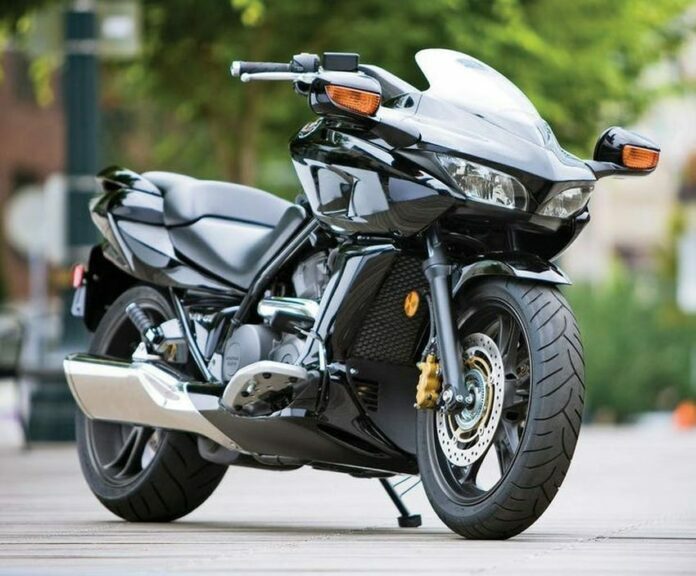 This motorcycle is in the Guinness World Records book for being the most expensive and the fastest two-wheeler ever. In case you are not familiar with this, it is alright. 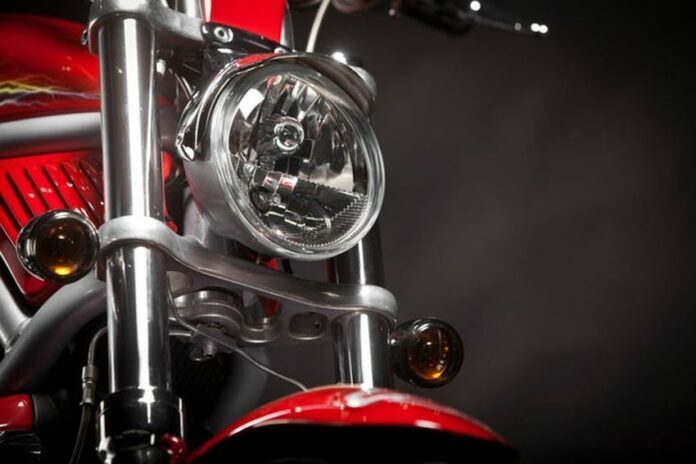 Hubless rims are relatively new in the motorcycle industry and they are intended to make the bikes look more futuristic and cleaner. 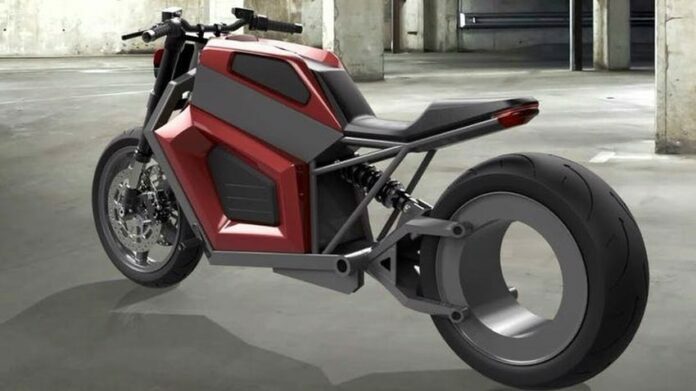 The RMK E2 is one motorcycle featuring such rims, but it is only a concept at this stage. Even though we are not sure whether this bike will make it to the market, the pre-orders are open. Placing the seat locks under the mudguard is something Yamaha did with the MT-10, making this model notorious. This move isn’t logical at all because nobody is doing this, including Yamaha! The placement looks logical when the seat is off, but otherwise, they have just strayed from the tradition without any particular reason. This was the idea conceived by BMW. The two buttons would be to turn left and right, one would turn them off and another one is for flashers. This is a simple idea and while some praised it, the other gearheads were not so thrilled about it. The good news is that it has never been implemented because we are not sure the other brands would follow. Although, this is something people could get used to in time. Motorcycle kickstands are quite basic and you use them to rest your bike without falling over. Ducati uses the same stands, but they don’t lock when they are down which means that you will not have to kick them so that you could drive. This is where convenience is put in front of the safety and many would rather have the locked stands. 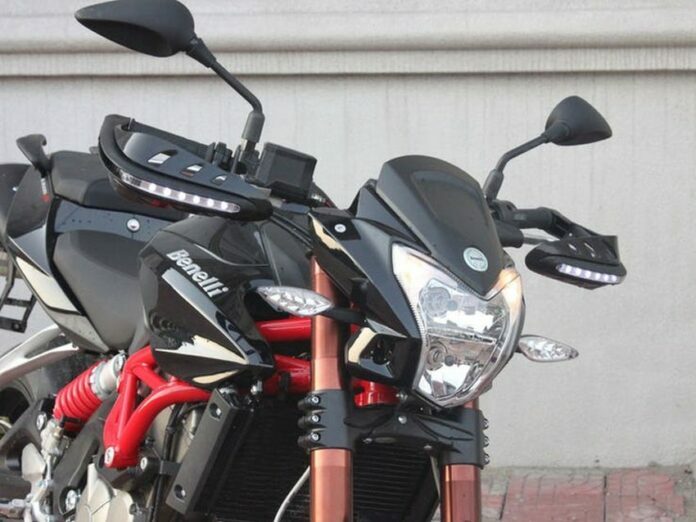 The gauges are usually found around the handlebars and behind the cowl but on this Benelli bike, you need to look further down to see the instruments because they are placed on the gas tank! This isn’t a good move because you look ever further away from the road than usual and your safety could be endangered. 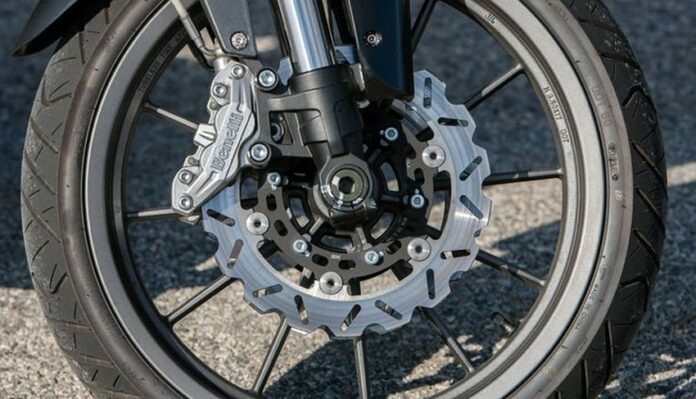 Disc brakes with waves are common on dirt bikes because they keep the dirt out of your calipers. So what is odd about this one? Well, finding such brakes on street bikes is not common at all. They reduce the effectiveness of the calipers in such case, despite looking stylish.